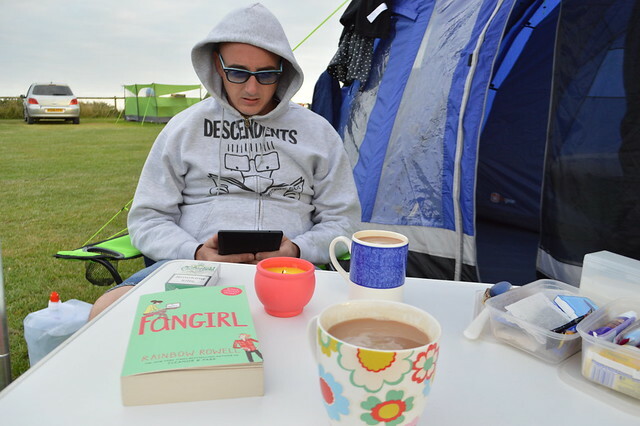 Camping is a bit of a British national pastime and it's becoming more popular again with lots of 'glamping' sites with bell tents and tipis popping up all over the place. The appeal lies in sleeping under the stars, waking up in an unfamiliar place with breathtaking views and ... hunting in the dark for your torch so you can go to the loo. I had intended to stay in a B&B for a couple of days on the coast but prices become extortionate when the kids aren't in school so I opted for more budget friendly camping trip. 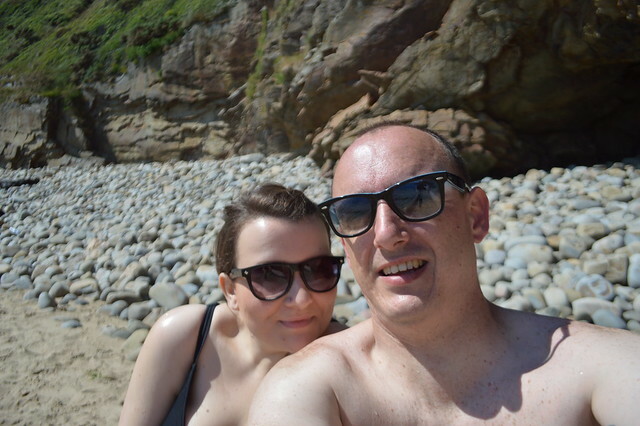 My camping trip was originally only going to be a two night break but we were blessed with amazing weather so we decided to make it a much longer stay and West Wales definitely felt more like the Balearic Islands. It was 27-29 degrees the whole time we were there which was perfect for enjoying the stunning Pembrokeshire Coast which is a national park. 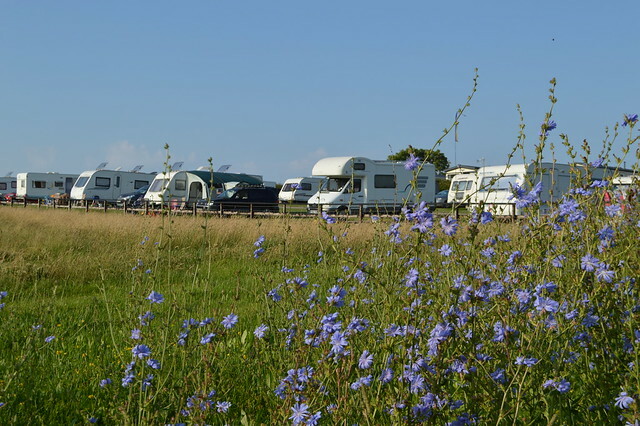 I stayed at the rather lovely Trevayne Farm campsite which had private access to Monkstone beach. 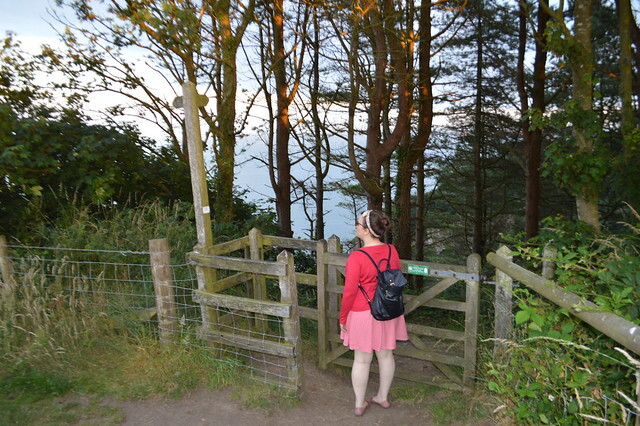 You can only reach it via a short walk through the farm or along the coastal path, there is no car access. We had the place to ourselves in the evening and it was far more quiet than Tenby and Saundersfoot which were nearby. It was so warm that I ditched my black tights for the first time in months, got my pastey legs out and even swam in the sea. 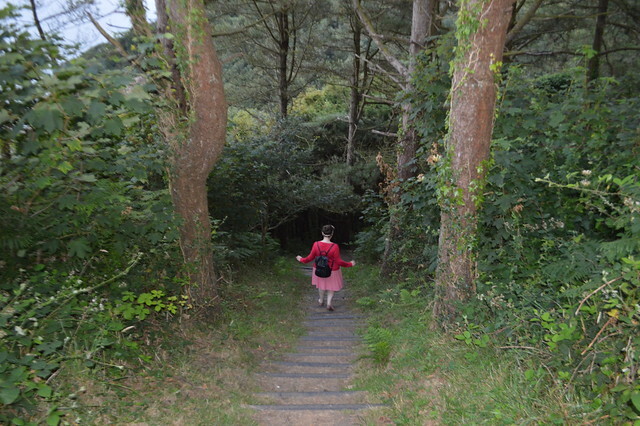 It was a little too hot to walk along the national trail without flaking out but we managed to walk around the site and explore a little bit of the coast close to Trevayne. 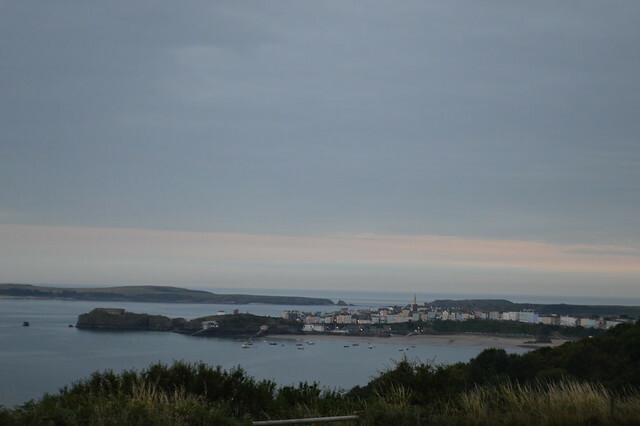 There were lovely views of Tenby and Saundersfoot from out site. I've never been too keen on camping (bad Duke of Edinburgh and festival experiences) but I will definitely be returning to this site. The facilities were clean and I really enjoyed not having an electric hookup for our tent and no wi-fi. I managed to read a couple of books whilst I was away and just relax without constantly checking my phone or worrying about the outside world. 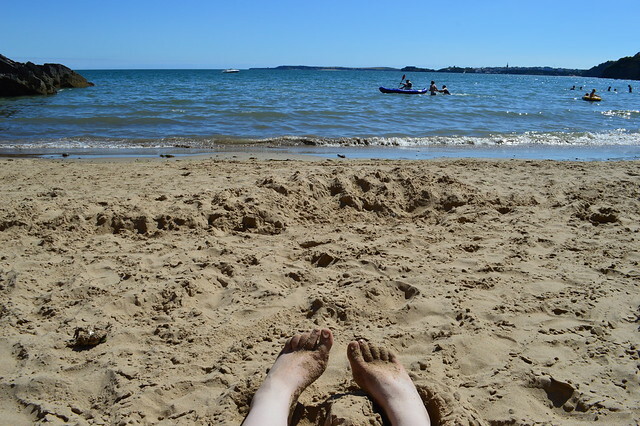 I've got plenty more photos of my holiday to share with you including my trips to Caldey Island and St David's so keep an eye out for those next week. Are you a fan of staying in the UK for your holidays or do you dream of something a little more exotic? Hi. I love seeing real pictures of England, Scotland and the like. My grandparents came from Britain and I've always wanted to live there too. Thanks for giving me a glimpse of what it's really like there. Canada is beautiful too but different. auw you really have inspired me, I love wales, esp as I used to live on the borderlands by shrewsbury..as much as I love living in the london big smoke, summer just isn't as good as it is in the welsh country on a sunny day...just take some food, tunes and drinks and free party for everyone. Looks like you had a great time :) very jealous! It must be such a pleasure to wake up surrounded by all this lovely nature. This looks fantastic, I am going to have to visit Wales!